When you are working on a major research paper such as a thesis or dissertation, writing an annotated bibliography is one of the most complicated tasks. This is especially true if you do not know how to write an annotated bibliography in the first place. You should keep in mind that an annotated bibliography is not a mere reference list with the basic elements such as title, author, and date of publication. It is far more involved than that. Here are some annotated bibliography tips that can get you started. One of the reasons why students need help writing an annotated bibliography is because they lack proper writing experience. If you are not sure how to write an annotated bibliography and then proceed to do a poor job, it can really shake your confidence. But if you follow the step by step suggestions in this article, you can increase the odds of doing a good job. There are a few angles that you might go with this. For instance, in some cases it might be more appropriate to review everything on the topic in a broad way. On the other hand, focusing on a subcategory is more effective in other situations. Either way, by knowing your strategy beforehand, you will be able to figure out many sources you will need to read in addition to gauging where to begin and end. You should also determine the purpose that your annotated bibliography will serve. You should provide a summary of each source and explain why it is useful for your particular research project. In addition, it provides the reader with a complete listing of sources. A source card is exactly how it sounds: it is a card that includes all of the important information to reference a particular source. Even if you do not end up actually quoting direction from all of the sources, they should still be included in the annotated bibliography. Our writer is creating your annotated bibliography. One of the most challenging aspects during the prewriting stage is trying to include as much information as possible - including all of the most important details - without overdoing it. After all, you need to be concise while still being very informative as you summarize the sources. The best strategy is to write down ideas immediately after reading the source so that it is as accurate as possible. Struggling with Your Annotated Bibliography? Writing your research project is already a big enough challenge even without taking into consideration the annotated bibliography. For many students, it is simply too much to bear, especially when you are trying to balance all of your classes and social life. If you are having a hard time, why not order a customized bibliography using the affordable and reliable annotated bibliography services of MarvelousEssays.org? When you buy an annotated bibliography, you are hiring a writer who knows the ins and outs of the process. They understand all of the formatting guidelines and can choose all of the appropriate sources. They also work with students regardless of academic level. The result is an annotated bibliography that you can be pleased with. When you place an order for a custom annotated bibliography from MarvelousEssays.org, you can be confident that it will look its best. We have a team of writers who specialize in creating different types of annotated bibliographies. They are also familiar with every type of formatting style including APA, MLA, Chicago/Turabian, Harvard, Oxford, and Vancouver just to name a few. 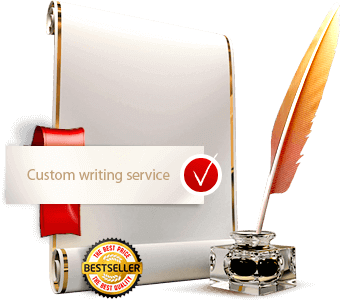 With years of experience, you know that you are dealing with the best when you order writing services from MarvelousEssays.org! We only hire the most qualified writers to work on our team. Best of all, the process of receiving your top quality annotated bibliography is easy! The first step is to fill out our order form, providing us with details including the assignment type, page length, subject, topic, number of sources, and deadline. Once you make a secure payment - we accept major credit cards and PayPal - we will assign your paper to the writer who is best suited to complete it. Once they finish writing your custom annotated bibliography, our editing department checks it for grammar mistakes and plagiarism. Once your deadline expires, it becomes available for download straight from your account on our website. If you are not completely satisfied with the product, you are welcome to request free revisions. Just let us know how we can improve your paper and the experts will take care of the rest! There are so many reasons why you should choose MarvelousEssays.org for your annotated bibliography. First, by outsourcing your academic to our experts, it frees up your time to focus on more essential tasks. For instance, you can finally take that part-time job or catch up on all your favorite Netflix shows. Best of all, you will see your grades improve without a great deal of effort on your part. Our professional writers are always glad to handle the burden. In fact, research and academic writing is their passion! When you need a unique annotated bibliography that follows all of your guidelines, you can count on MarvelousEssays.org. Our team of writers are ready to lend you a hand! So give us a try and order your paper today!